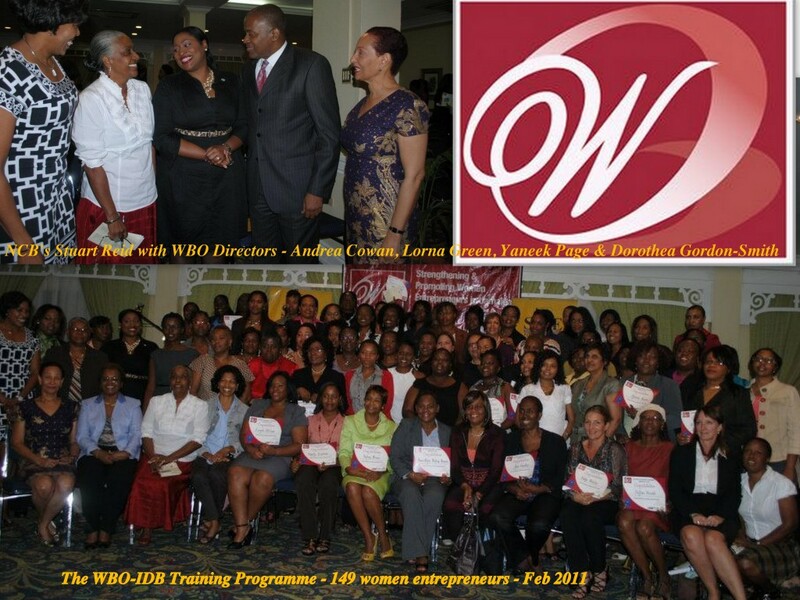 To mark the occasion of the 101st International Women’s Day (IWD), the Women Business Owners Jamaica Limited (WBO) and the Emrie James Museum at St. Andrew High (SAHS Museum) will commence working together to develop a traveling exhibit with storyboards featuring the evolving history and achievements of the WBO organization including the IDB-funded women’s training program. This project will weave the missions of both entities that seek to provide a foundation for young women and supporters of women across Jamaica to emulate. Women’s education has a “multiplier effect,” according to the head of the UN Development Program. Educating women improves their rights in all areas, including property and work. Financial independence, born out of better education, brings prosperity to communities. 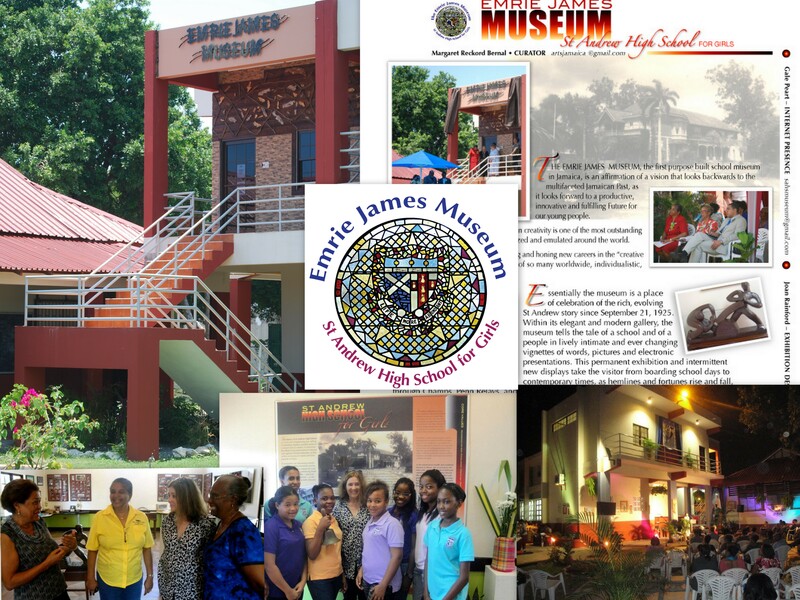 In the words Mrs. Margaret Reckord Bernal, the Museum’s curator and St. Andrew High alumna, “The collaboration between the WBO and the Emrie James Museum represents the kind of relationships the museum wishes to develop in the future. This showcasing of achievements by women in business is especially appropriate today, on International Women’s Day. Personal, triumphant stories of Jamaican women will make their way out to schools and other cultural spaces in the island. The marquee installation at the Emrie James Museum will not be alone for too long as both the museum and the WBO believe it is important to share history. Therefore the exhibit will later be showcased at high schools, libraries and any other institutions interested both locally and overseas. WBO and the SAHS Museum are open to dialogue about project sponsorship. More details will be announced at the museum’s literary event at 6p.m today. Strengthening & Promoting Women Entrepreneurs in Jamaica is a 3-year project, being implemented by Women Business Owners Ja. Ltd. (WBO), and funded by the Multi-Lateral Investment fund, a member of the Inter-American Development Bank. The first purpose-built museum in Jamaica features “Life More Abundant” women and currently holds the award for Jamaica’s best video blog (see: youtube.com/sahsmuseum). The museum is located at St. Andrew High School (SAHS), 10 Cecelio Avenue, Kingston 10 and is open to the public weekdays and by appointments. Curator: Mrs. Margaret Reckord Bernal, Cultural arts specialist, designer of Jamaica’s Military Museum and proud St. Andrew High Old Girl. New Digicel Building Downtown Kingston - A Catalyst for Development? being ridiculed and teased. Redheads and folks with course hair will typically be higher shedders than blondes or those with fine hair. Actually, the correct term is “nausea and vomiting of pregnancy”. a comprehensive and efficient way of cutting off excess pounds without putting too much pressure on the dieter. h – CG regimen from a website that offer it and follow this simple plan. acquiring benefits on the <. HCG diet materials stress the importance of sticking to this diet. where they hide. So, you will be guided accordingly and will learn better and faster. do something differently than how you have been doing it. national companies, as they have their roots here in this county of Florida and thereby know the people and the tourists of this place better. the cultures and the practises followed in its respective cities. some disposable income after you’ve paid your mortgage. In – Style called the look “equal parts girlie and punk, like the pop star herself. When standout fashions for little ladies matter, it is hard to beat the boutique clothing advantage. figure in a white and red bodycon dress and red heels. In – Style called the look “equal parts girlie and punk, like the pop star herself. Many people are interested in knowing these and thus, if one is looking to start a fashion website, all they have to do is to include this aspect to their portal along with pictures as well. not prop to give up that reserve and even get hold of a latest clothing. and a lot of things that you could think of. much higher risk in bringing bad bacteria or microorganisms that maybe harmful to your fish. is found in refrigerators and heat pumps, which are based on the principle of reversed Carnot cycle or reversed Carnot theorem. Furthermore, feeding live food is difficult as all live meals have a much higher risk in bringing bad bacteria or microorganisms that maybe harmful to your fish. into usable power. The HCG diet is supposed to be a solution to permanent weight loss where it does not come back given reasonable diet and exercise. veiled threats, with statements like: “my relationships have never lasted more than two or three years. It must be active in the moving industry for more than ten years. will put your health at risk. Meditation will assist in improving your concentration. Rolls demonstrates that eating these varieties of meals, principally before the main meal, may lead to eating fewer unhealthy calories during the following dinner. oxygenation levels, thereby promoting hair regrowth. world, and it can be a very embarrassing problem for many. themselves seriously and you can probably do the same too. or want at this stressful time in your life. pet care etc. You will require plenty of boxes to put different items in them. to implementing optimizations in a Word – Press Blog. Submitting articles is an excellent way to market your website. This type of lingerie shapes, tones, smoothes and sometimes even lifts the problem areas in the body. These are entirely intended for total flexibility and independence to play. Check the maker’s site for further information and tips on the appliance in your home. and helpful on the job.